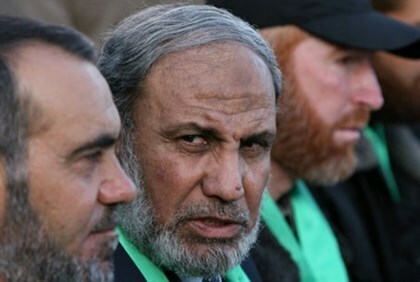 Hamas on Sunday denied a Kuwaiti newspaper’s report that Qatar has informed Hamas that it would be temporarily halting its financial support, reports i24news. The Kuwaiti Al Jarida reported last week that the move was made in order to push Hamas to change its policy against Egypt, which the Gulf state has just reconciled with. The report continued on to say that Hamas must end its incitement against Egypt as well as stop smuggling weapons to terror organizations in the Sinai peninsula from the Hamas-controlled strip. Qatar had pledged its “full support” to Egypt on Monday, ending more than a year of regional isolation over its support for Cairo’s ousted Islamist president. The statement came a day after Egyptian President Abdel Fattah al-Sisi met in Cairo with a Qatari envoy. Qatar repeatedly denounced Sisi’s ouster of former Muslim Brotherhood president Mohammed Morsi and it still provides shelter for some Brotherhood leaders who fled Egypt. The crackdown led to a months-long diplomatic spat pitting Qatar against Saudi Arabia, the United Arab Emirates (UAE) and Bahrain, which all supported the ouster of Morsi. In an unprecedented development, the three nations had recalled their ambassadors from Doha back in March, in protest against Qatar’s support for the Islamist movement, then returned their diplomatic staff to Qatar in November. Earlier this month, at a reconciliation summit hosted by Riyadh, Qatar joined its Gulf neighbors in supporting Egypt under Sisi.